Even the famous Tao masters recognized that the trees are extremely powerful plants. Not only can they absorb carbon dioxide and turn it into oxygen, but they can also absorb negative energies and turn them into positive energy. They can help in opening energy channels and stimulate feelings of calm, presence and vitality. Throughout the history, people used all parts of trees for treatment and medication. 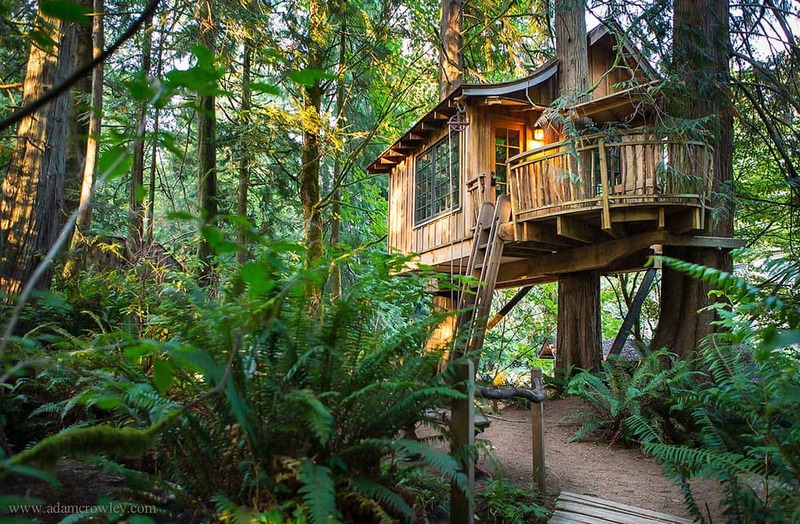 Therefore, many alternative doctors claim that even a simple walk in nature, not only refreshes us and fills us with energy, but also thanks to the energy of the trees, we can feel a healing effect on us. 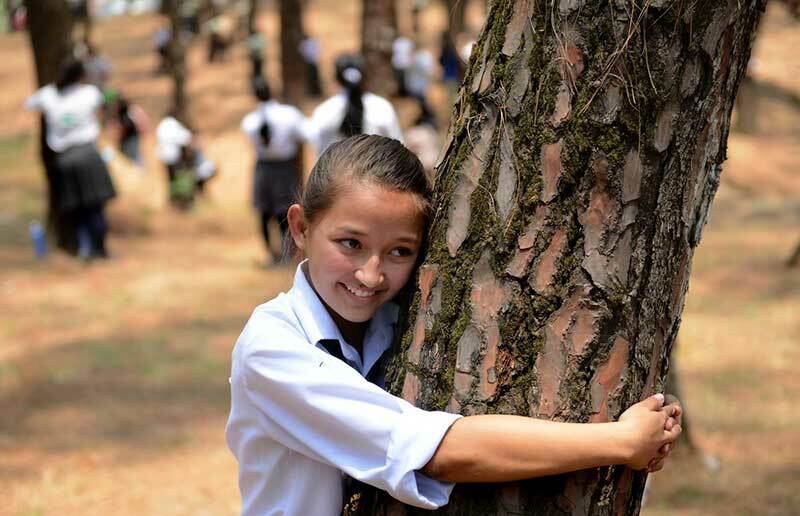 There is a belief that every person has his/her own tree that has a particularly positive effect on that person. 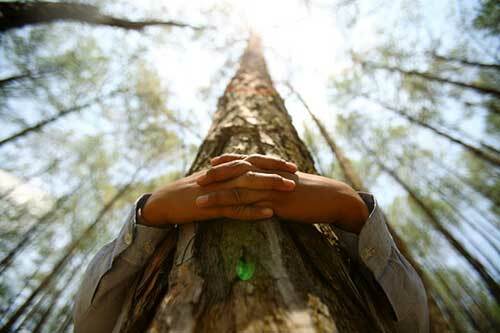 Knowledge of the connection between trees and humans was present in ancient China, where one of the basic exercises within the chi kung (the skill of renewal and generating of energy) consists of positions that bring about the identification with the tree. A similar belief was held by the Celts, who based their zodiac on signs that bear the names of different trees. The tree was considered to be the centre that gathers ghosts and keeps them inside. Russian scientist Mikhail Semionovich Vinogradov devoted himself especially to the research of trees – as donors of energy, but also energy thieves. 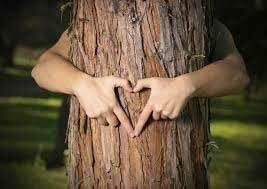 – In folk medicine today there is a whole area called dendrotherapy, healing with trees or with the help of trees. There are records from pre-Christian times, when young women went to the birch to gather positive energy, for a happy marriage and life. Pregnant women would sit under a linden tree, and wounded soldiers were placed under the oak tree, to get the power to heal the wound … Healers recommended not only sitting next to trees, but also climbing them, in order to take or exchange as much as possible the power of the tree. Even today, children instinctively climb trees, and many build houses in the forest … – said among other things, Vinogradov. He recalled an old custom: when a child was born, a tree was planted, for example an oak for a boy, and a fir, birch or a linden tree for a girl. In particular, it was interesting to look how both the child and the tree grew and evolved. – It is very good to stay in a familiar area, but it does not have to be that way. Staying in nature is a great way to sort out thoughts, reconsider actions, say a prayer, and feel the connection of everything that breathes under the sky… Finally, it should be known that dendrotherapy only helps if you conduct it regularly, if it becomes a good habit for you – Vinogradov claims. He explained that tree donors have the ability to accumulate a large amount of cosmic energy and that every person should know what his/her particular tree is, which allows that person to easily deal with life’s difficulties and illnesses. When you find out which is your tree, you should plant it in your vicinity. But besides the trees that give us energy, there are also the ones that take it away. – The best in this respect are all kinds of poplars and willows. With less energy, but also very useful are chestnut, fir, the American cherry. They are excellent for treating some diseases. When you are sad, tense or tired, place your back and palms against one of those trees, like when you played hide and seek behind the trees! It’s very good to get rid of tension and irritation. 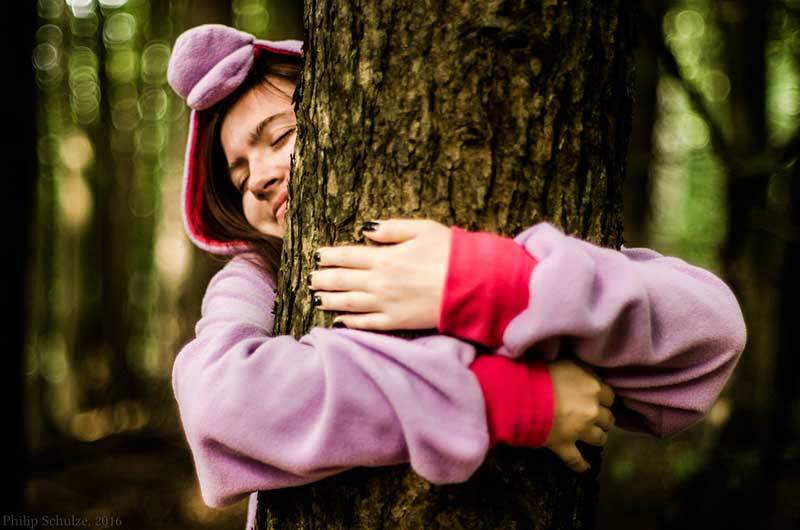 If you have problems with internal organs, simply hug the tree as if you would a good friend. But it is not recommended to stay in this “hug” for longer than twenty minutes – he explains. Here are some traits of trees and what they can help you with, according to the scientist Mikhail Semionovich Vinogradov. The oak has outstanding properties, it acts as an anti-stress therapy. It activates circulation and reduces healing time. One of the best generators of positive energy. It is very good to have oak furniture in the house, not only because it is long lasting and beautiful, but also because it radiates positive energy. The pine can calm you and eliminate psychic tension. A longer stay in the pine forest rescues you from coughing, sneezing, bronchitis and similar problems. The beech reinforces resistance to stress and strengthens concentration, it also works well on circulation. The chestnut eases rheumatic problems, eliminates insomnia, and, as the folk wisdom says, dissolves fear and tension. The acacia tree provides a good sleep and a clear mood. The fir relieves pain, relieves depression. The ash is good for concentration. The linden increases the potential of the body, improves mood. The birch tree is the most popular, because it has a whole range of healing properties. It would be enough if we went to a forest planted with birch trees once a week, selected one of the larger specimens and embraced it for fifteen minutes. It is useful to use birch in radiation-induced diseases. The birch accelerates the healing of the wound, regulates the work of the liver and bile. It helps us concentrate, increases attention and strengthens the body. It is also a great air ionizer.